In a world dominated by screens, it’s only natural that we want our gaming experiences to be as seamless and integrated as possible. Developers spent many years chasing “second screen” gaming concepts, but none of them — from Xbox SmartGlass to the Wii U — ever felt right. In the years since, Sony has cultivated some less ambitious, but genuinely useful ways to bring your smartphone and PlayStation 4 together. 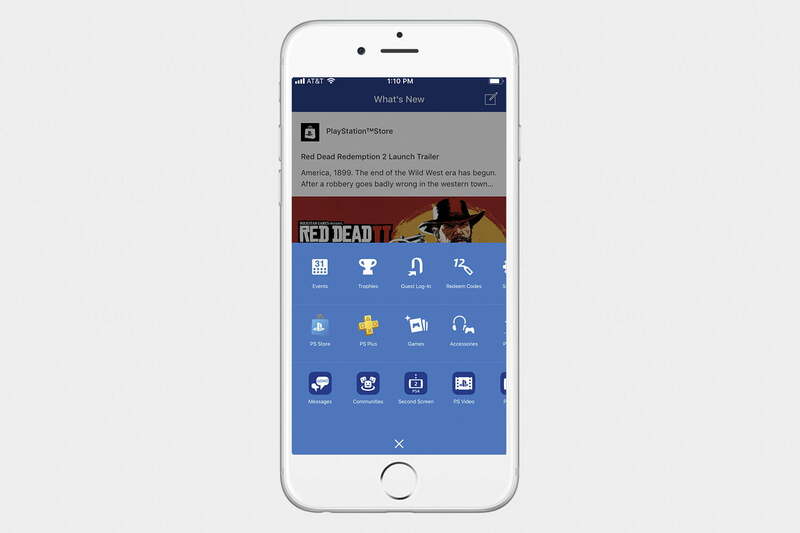 The PlayStation mobile app allows you to browse PlayStation profiles, compare trophies, and purchase content from within the app. It will then automatically download to your console as long as it’s active or in standby mode. The app lacks some functionality such as messaging which has been moved to a stand-alone app but it remains a worthwhile companion for PS4 owners. If you need to message a friend on PlayStation Network (PSN) or check your PlayStation account from your phone, you can also use Sony’s new My PlayStation social portal in your web browser. Either way, we’ll take you through the process of connecting your phone to a PS4, step by step. Before downloading the PlayStation application for iOS or Android, you’ll want to update your smartphone or tablet to the latest version of the operating system. For iOS users, you’ll want at least version 6.0, while Android users will need version 4.0 at the very least. Once updated, head over to either iTunes or Google Play and enter “PlayStation” in the search field to locate the app. Tap the Install button to begin downloading the app to your smartphone or tablet as you would normally, and launch it once installed. You’ll be prompted to sign in to your PSN account, which you’ll need to do. After signing in, you’ll have access to most of the app’s features, including events, live-streams, and the PlayStation Store. Previously available in the same app, the Second Screen experience is now only accessible via a separate app. Head to the app store on your mobile device and search for “PS4 Second Screen.” You can also find a link to your respective app store by hitting the PlayStation symbol at the bottom of the page and selecting “Second Screen.” Open the app and you’ll automatically be signed in under the same account as the main PlayStation app, and you’ll see any available PS4 systems ready to use. With your smartphone or tablet now synced to your PS4, you have access to a wide range of features. The biggest difference you’ll notice once your phone and console are linked? Several PS4 games, such as Metal Gear Solid V and Watch Dogs, feature companion functionality you can use while gaming. The Battlefield 4 app, for instance, provides access to your PSN friends and your multiplayer stats, and even lets you customize your weapons and character loadouts on your mobile device. The PlayStation App did once provide access to a messaging service, but communicating with friends and enemies has been relocated to the PlayStation Messages App, which is also free and available on both Android and iOS. 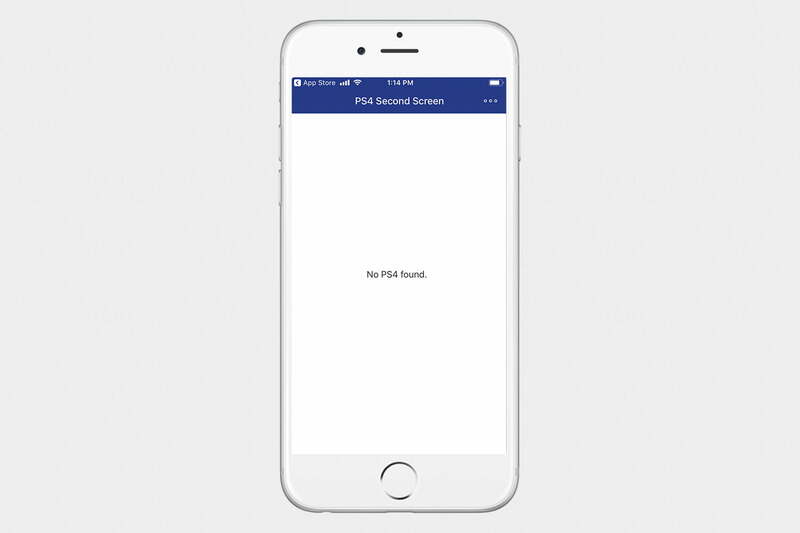 If you don’t want to use a dedicated app to control your PlayStation friends’ list and a second app to message your friends, Sony also gives you access to your PSN profile through its My PlayStation service in your phone’s web browser. 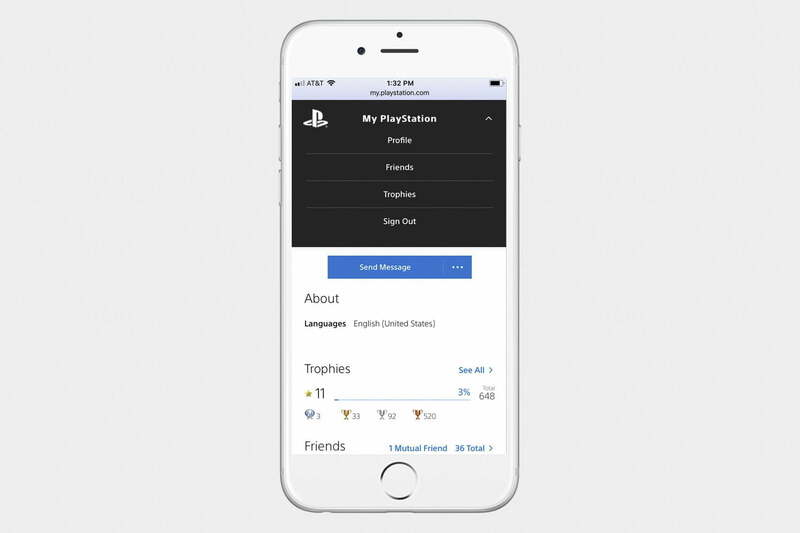 Introduced in February 2018, My PlayStation lets you message friends, view trophies, and update your profile on the go. It does not, however, allow you to connect directly with your console like the dedicated app does. To use it, just head to my.playstation.com and sign in with your PlayStation Network account. You can also find it by visiting the PlayStation homepage and signing in, and the My PlayStation tile will be listed in the top-right corner. Once you’ve signed in, you can view your friends list, trophies, and profile by clicking on the drop-down menu at the top of the screen. To message individual friends, go to their profile and select the “send message” option.